In Minnesota, the land of 10,000 lakes, we love our watercraft and boats! Of all these water craft, four percent of them are personal watercraft. Don’t launch without proper insurance! 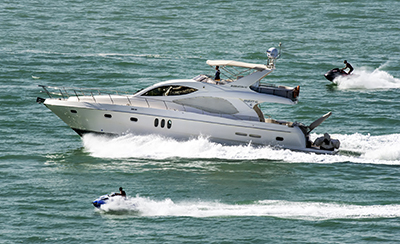 McKee & Andrews insures all types of watercraft; fishing boats, runabouts, cruisers, personal watercraft, pontoons, sailboats and bass boats against total loss. We can cover you for the watercraft’s market value or it’s “agreed-upon value” if it’s a vintage boat. We cover our customers from canoes to cabin cruisers. If it was built to traverse water, we insure it!